There is no vigor in the agricultural products market. Corn wheat soybean ... They tell us to wait more. Sugar draws attention. We need to be interested in Cocoa. 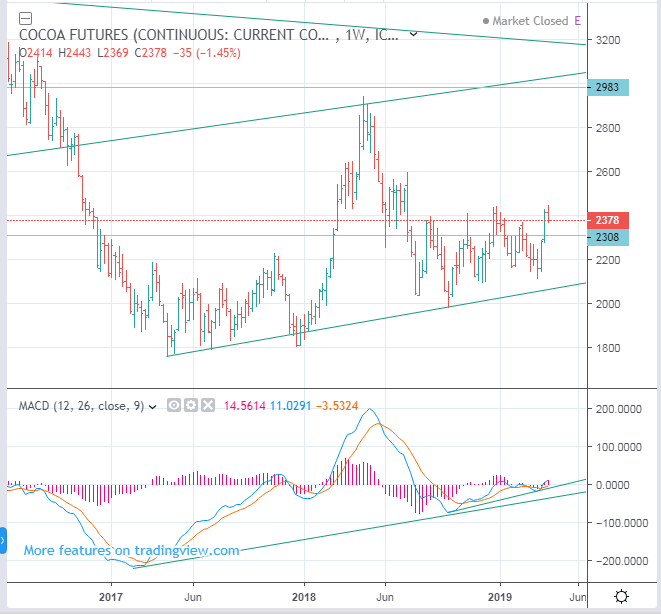 I do not know if cocoa futures are on their upward trend. However, it is likely to rise a little. If prices fall, it would be better to look for buying opportunities. If they rise, the resistance line is likely to be 2983.